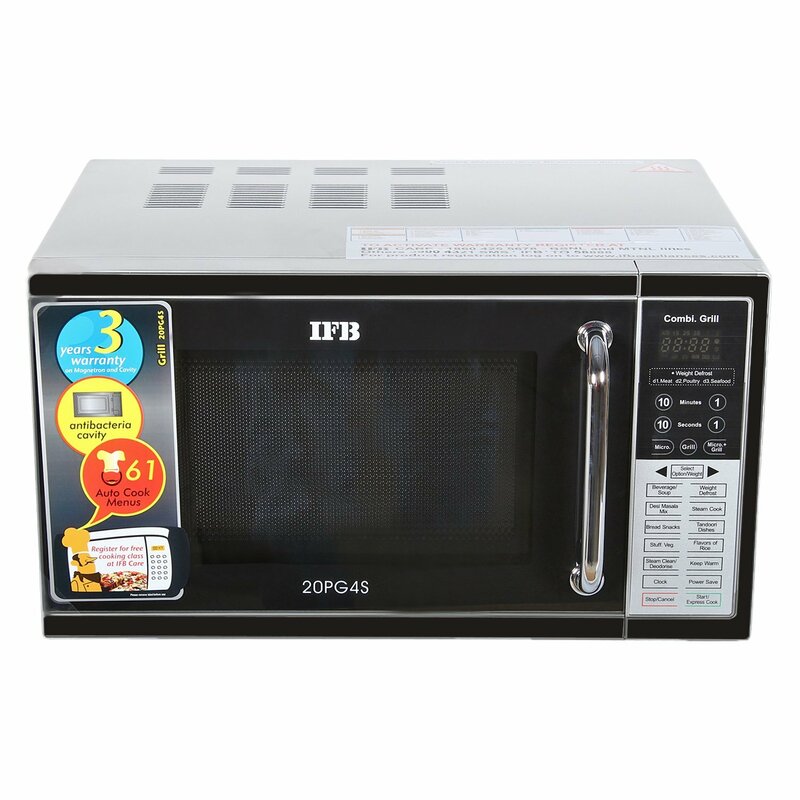 IFB 20PG4S 20 L Grill Microwave Oven comes with impressive features and good capability to cook healthy foods. It has antibacterial cavity that is very helpful to kill bacteria growth and keep the cavity free from the odour. Since it has antibacterial cavity so it is also very easy to clean. 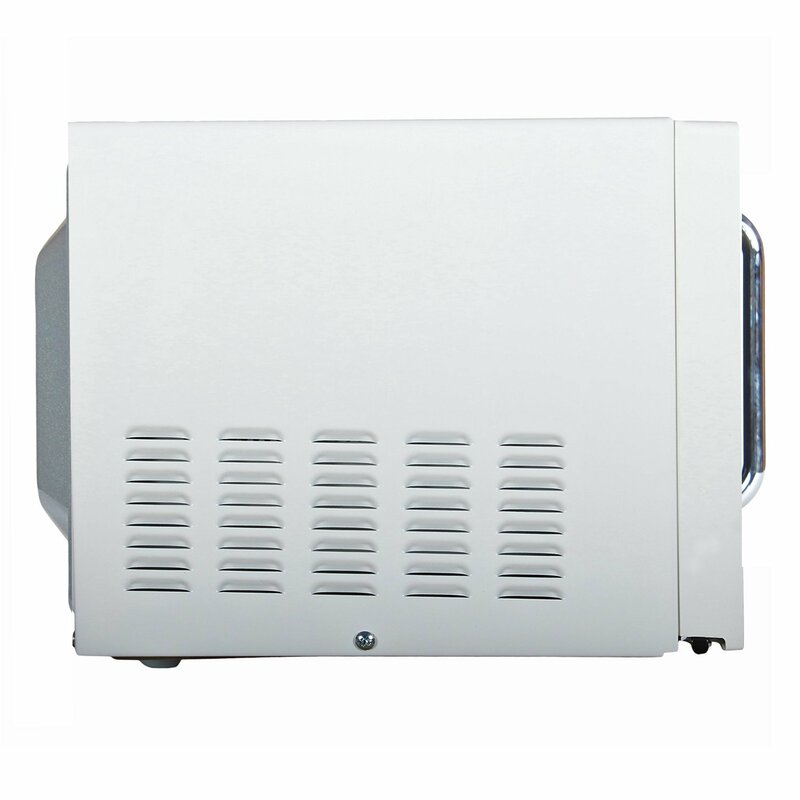 This IFB grill microwave oven has 20 litres of capacity that is considered good cooking space to accommodate most food items, large plates and food packets. 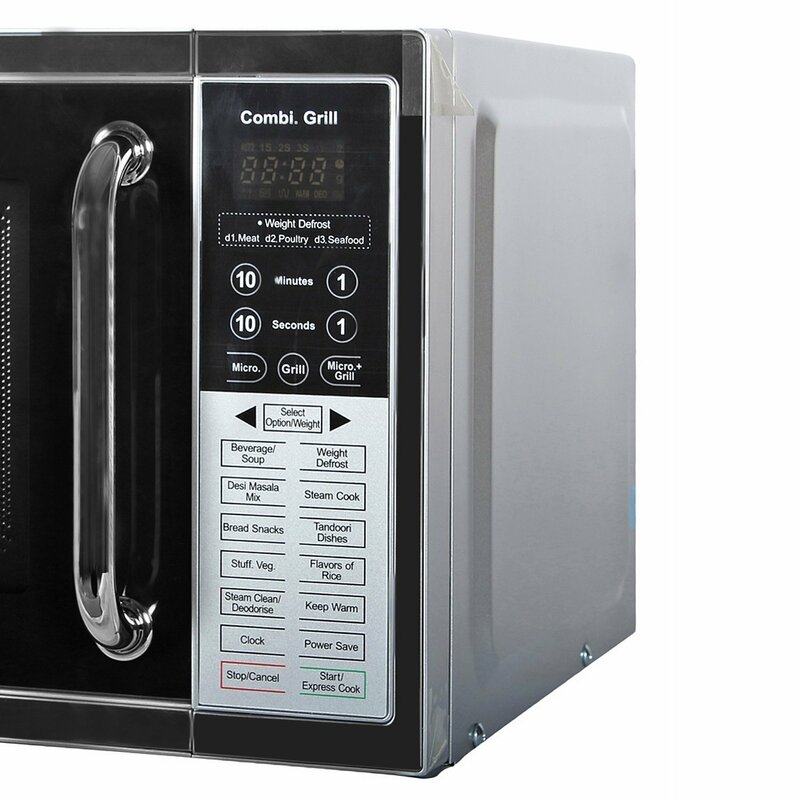 It also comes in a combi mode where you can use microwave and grill combi mode to cook your desired foods. 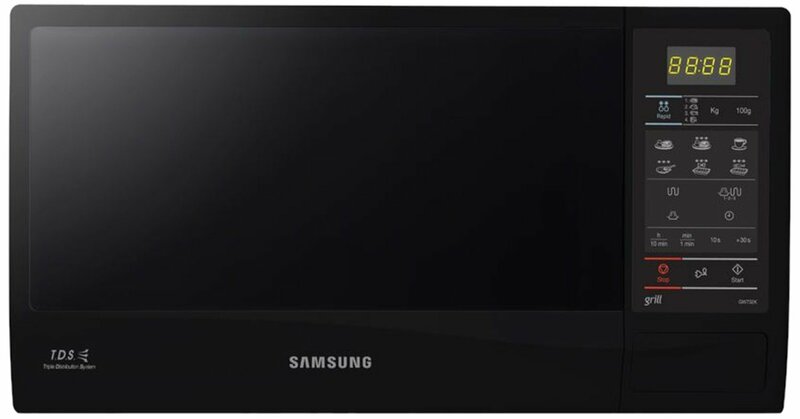 Further, it comes with multi-stage cooking feature, when one stage ends the next stage will automatically start. 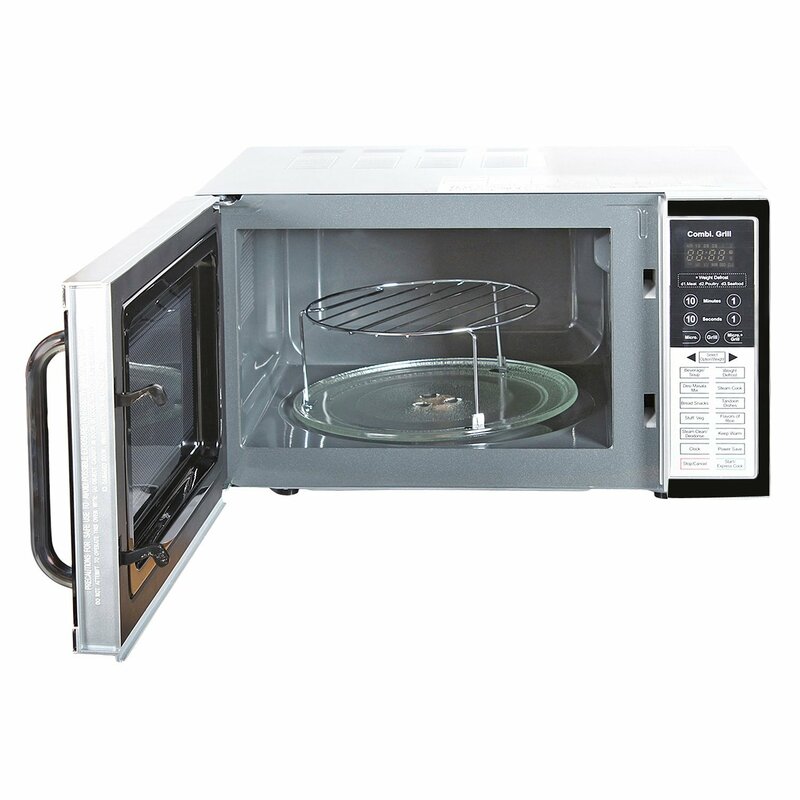 IFB 20 L Grill Microwave Oven also comes with defrost feature for all your diverse cooking needs. 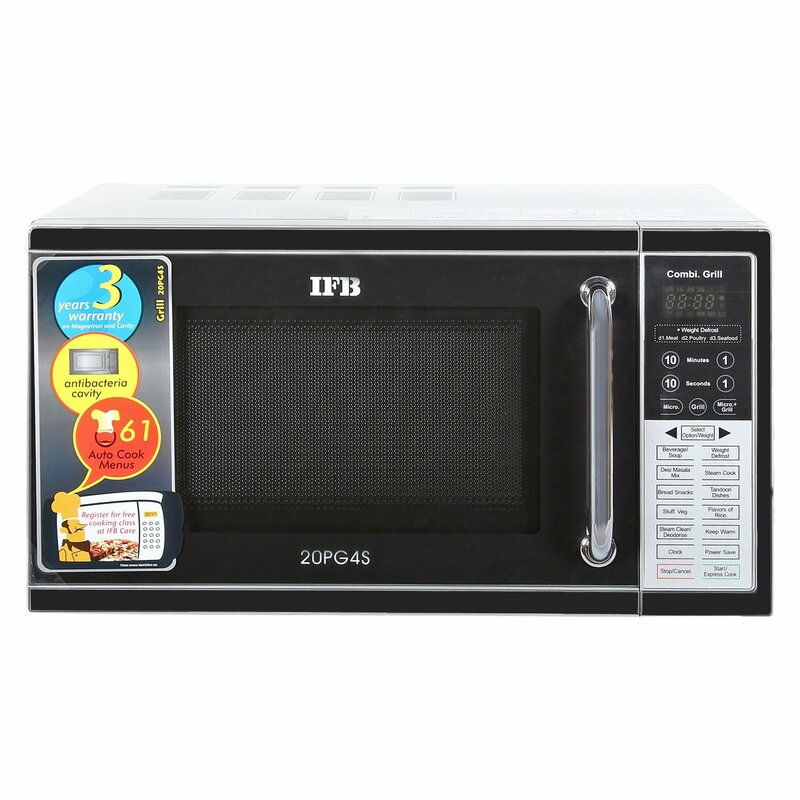 With the purchase of this IFB microwave, you also get an owner manual and a warranty card.